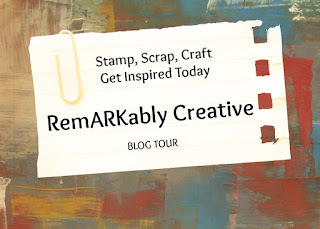 Welcome to another Terrific Tuesday Die Cut and or Stamp Challenge over at My Paper Crafting. I am so glad you stopped by! Today’s challenge is "Holiday and Red or Green as the main color"! 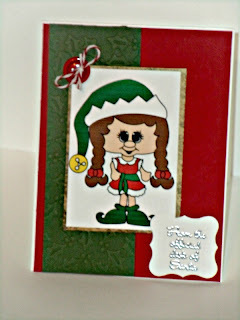 I used the QT Patootie Christmas Elf digital stamp and the sentiment is from Jaded Blossom Santa's Mail stamp set. BTW, this the last challenge for PCW, but we are not going anywhere. 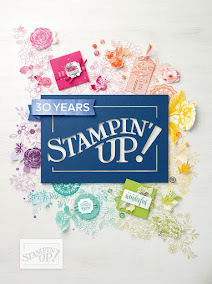 Starting in December, My Paper Crafting will begin the 25 days of Christmas. Sweet Christmas card and I love your colored image. Thanks for joining us at Make It Monday.